← Are You Prepared to Evacuate? NOW? 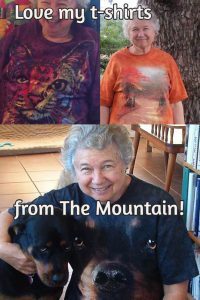 The Mountain animal t-shirts: 3D dog faces, actually lots of 3D animal face t-shirts, Dean Russo dog art on t-shirts… such a variety! No wonder I love them! 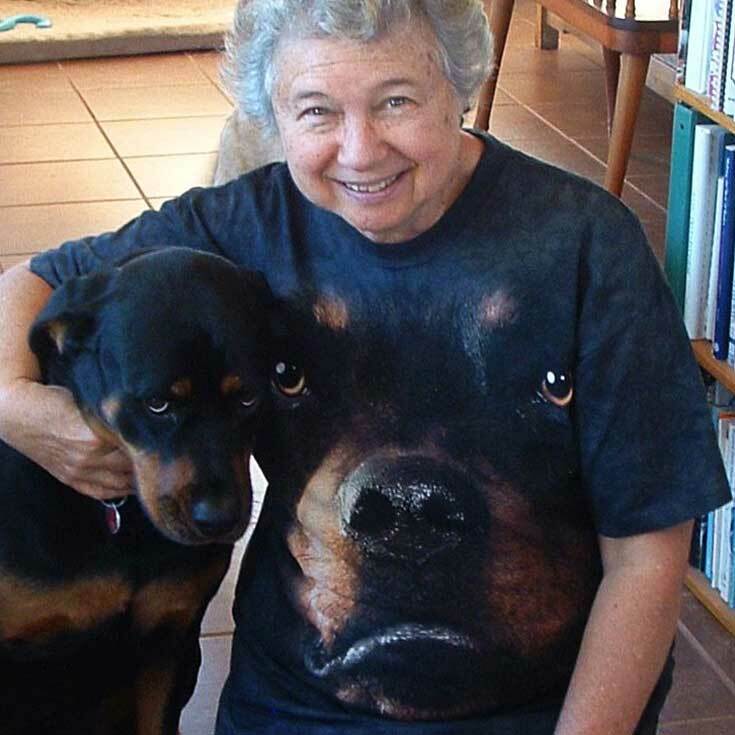 It all started when I got the Rottweiler dog face t-shirt. Now I add another one to my collection every now and then. These are very well-made shirts… see below for details. The ones I have purchased have been in men’s sizes but they have been fine for me… I’m short and so the rather long shirts end up more like tunics but that’s fine with me. Many of these designs are also available in kids’ sizes at Amazon. Here I’ve chosen some of my favorites of the Dean Russo dog art. To see them all, here’s a link to Dean Russo dog t-shirts on Amazon. He’s done a lot of specific breeds. Most of these could also be called big face dog t-shirts. This is the category my Rottweiler shirt falls into, and I have to say that I get a lot of favorable comments when I wear it. Here’s the link to all The Mountain Dog Face T-shirts at Amazon. The Mountain doesn’t stop at dogs. Here are some more 3D animal face t-shirts. Wish they used women models too, but you get the idea more or less. They start with all-white cotton T-shirts where all the cotton, including the thread, is made in the USA. Then they dye the fabric in their own facility in New Hampshire, using organic dyes. The designs go on with environmentally friendly water-based inks, and they have pioneered some of the methods used. Their wastewater is purified by them. They have a variety of green initiatives. Very impressive! For more, see their About Us page. Well, I’ve got a couple more t-shirts on my wish list after writing this. The 3D animal faces get attention, and my t-shirts are holding up very well, several of them after years of use. Yes, I do too! That’s why I featured it in the listings. These are so cute, love the pig one!